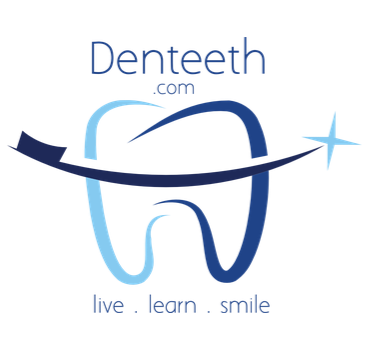 Many of you may have seen a new website being publicised on social media called Denteeth. But what is it? Kalpesh Prajapat is a fourth year Dental student and director of Denteeth. Kalpesh was awarded the prestigious Frank Ashley undergraduate prize for his innovation aiming to improve global oral health care and here he shares his aims with his new venture. Denteeth is a new innovative hub for Oral health care, our core aim is to improve global oral health through our innovative products and most importantly, through education. In modern day Dentistry, there is now increasing emphasis on the prevention of behaviours detrimental to ill health so by helping to reduce common preventable dental diseases, the biological and financial costs of invasive treatment can be minimised. In the UK alone the NHS spends £3.2 billion on dental services. In addition, patients amongst the general public spend £653 million on treatment, which can commonly be a prevented. Denteeth aims to develop products and provide services that help reduce this biological and financial burden. 2. What is planned for the future? Currently we are working on our revolutionary oral health app for children. We aim to create an interactive and powerful app that not only educates children, but rewards them for their behavioural compliance. Structured in a game format, users are immersed as their chosen avatar into a virtual world where they build points for good oral health behaviours. Using augmented reality, users activate the app triggering educational songs and videos with an on-screen timer for brushing. With 4.75 billion smartphone users and over 195 million tablet users globally, the application has enormous global potential. With a user-friendly design, high quality animations and clear voice-overs the product will be popular with children. The app aims to be launched during 2015, on both android and apple iTunes platforms. The prototype of the application has already been acknowledged by the British Society of Periodontology for its capacity to educate patients in the prevention of gum disease. 3. What did you find the most challenging when setting up Denteeth? Time management has been tricky, especially balancing dental school with meetings, travelling and of course social life. Fortunately Skype and Facetime have allowed face-to-face meetings at the comfort of my desk! 4. How do you think Dental Practitioners can use Denteeth in their everyday practise? Denteeth.com is an online resource for oral health and hygiene where dental professional can direct patients to for further information regarding maintaining good oral health. In Dentistry prevention of disease is integral to good overall health and Denteeth features educational videos and advice which can work as an adjunct to the dental health professional. 5. Where do you see the future of Denteeth? Although Denteeth is in its infancy, we are already working with international oral care manufacturers such as TePe as well as several other health care product manufactures who have shown interest in the concept. Following a successful launch at the 2015 BDA Exhibition in Manchester, Denteeth aims to continually grow and expand with in-store commercial oral health products, together with innovative technology ultimately promoting better oral health. A fantastic concept which can help us as dental professionals educate and therefore improve the health of our patients! Be sure to check out the Denteeth site where I have written a blog post on what patients can expect from NHS dentistry - click here. Let me know what you think of the site in the comments below!